I spent the entire day yesterday trying new small crochet projects (except for when I did a quick run to OS with the guild and some pugs for the weekly on my paladin tank, Yulara!) Recording this learning process will be good for me to look back over later, I'm sure! 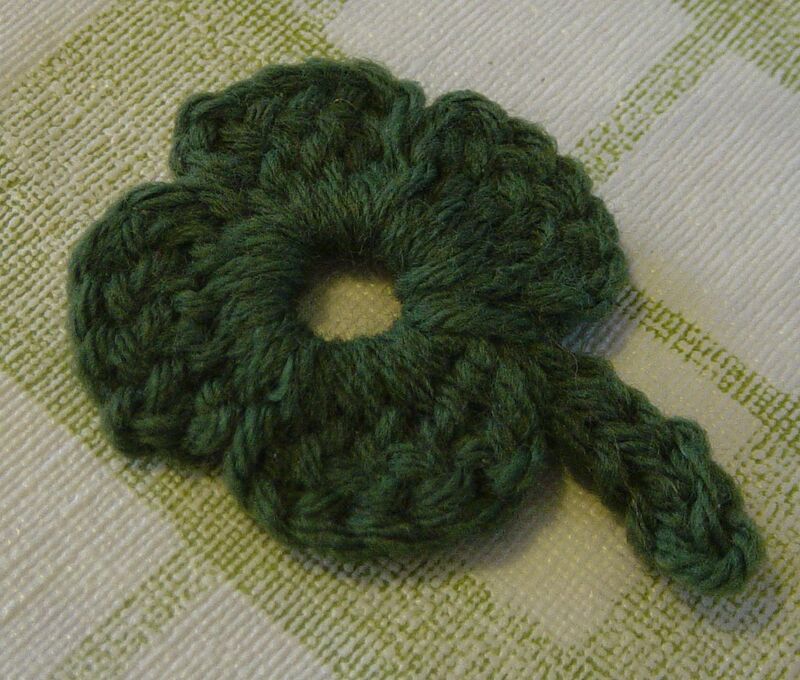 To start me off, I had a go at this four leaf clover. It looked pretty simple and I figured it could be used as a lucky charm fridge magnet. At the start of the day my purpose was to work on my crochet pattern reading skills, and this one went fine. I was off to a good start, so I thought to try something a little more tricky with this three layer flower. I followed the large flower pattern and discovered I didn't know what "bpsc" was. 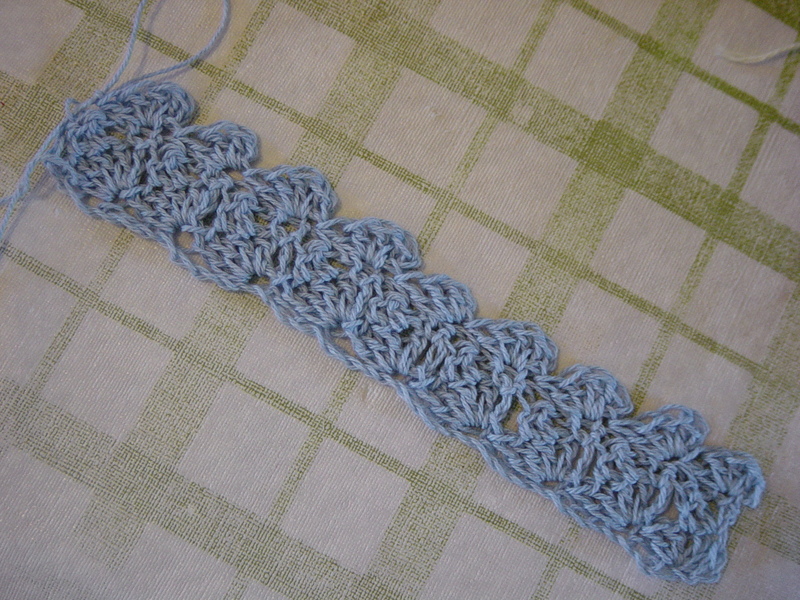 Turns out that's "back post single crochet" and I learned how to do it by watching the youtube video. After these successes I thought I would try a little lady bug pattern I saw. It started off with the magic ring, which was great to learn so I can make my start rings small if I wanted. 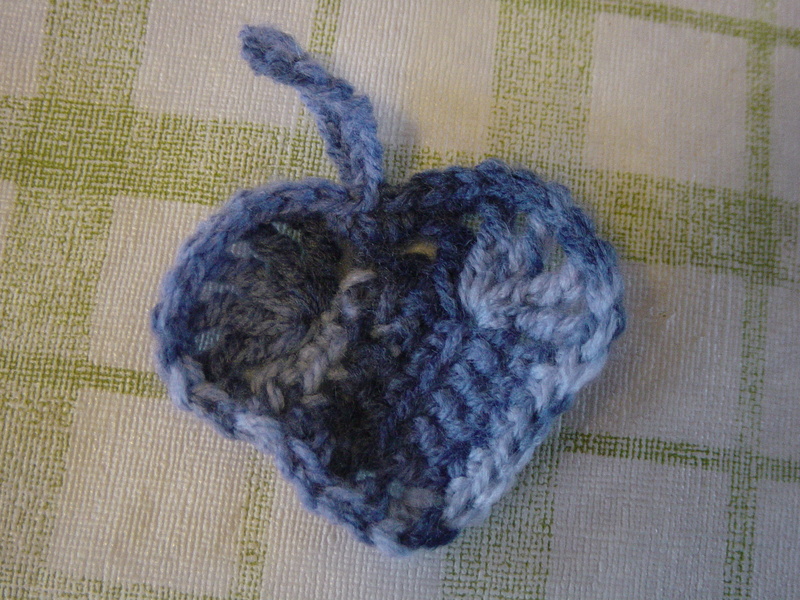 But the lady bug was not working out at all, all the extra stitches formed a type of hyperbolic shape and it reminded me of what I kept getting when I was trying the beanie pattern at crochetspot. Then I remembered that there are two crochet languages, English and American. 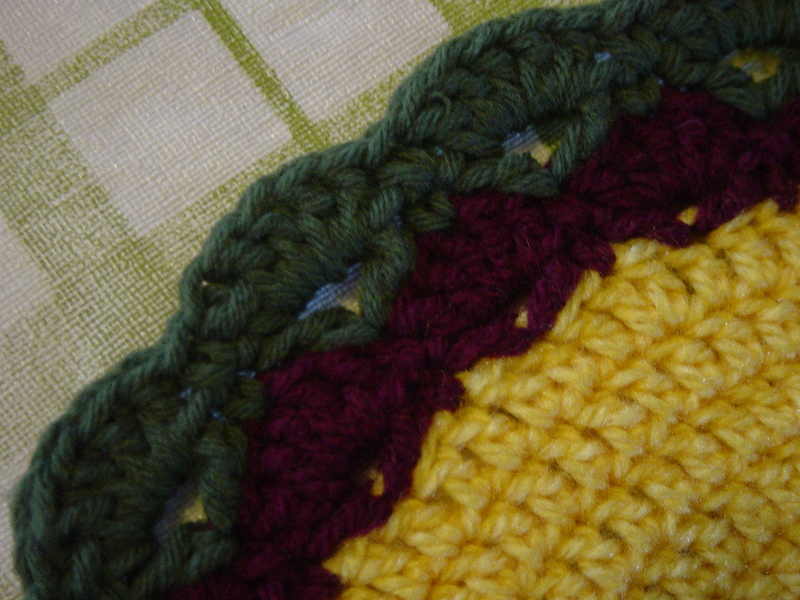 Crochet Australia has several charts on how stitches, yarns and hooks vary between the two. I also did some reading up on Wikipedia on the history of crochet, which of course was very enlightening. All this made me wonder that that beanie pattern is American, so I went back and tried it again, this time doing English DC instead of SC, and guess what... it worked! 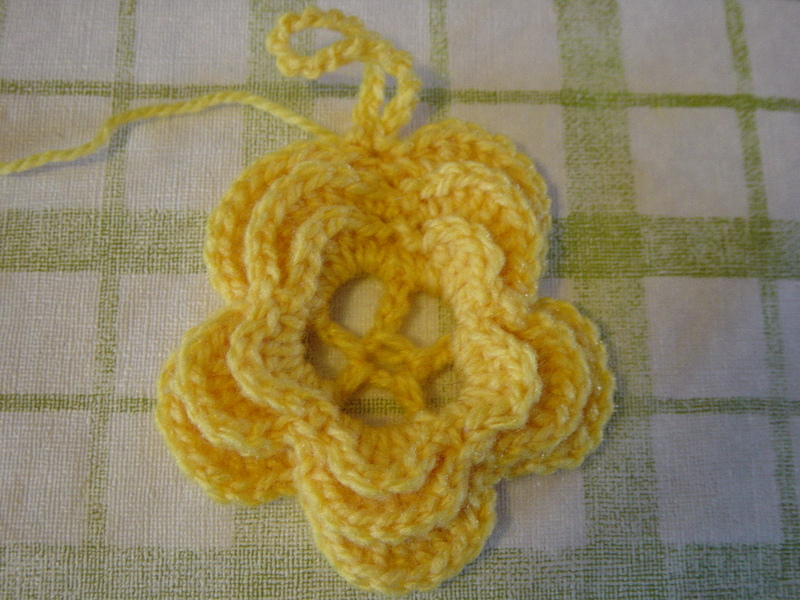 But when the ball of yellow yarn I quickly grabbed to try this ran out I thought that I would put in a different colour. I fooled around with some wavy stitches, trying something I learnt in the morning from those little round patterns and made up a stitch (sl st sc hdc 3dc hdc sc). 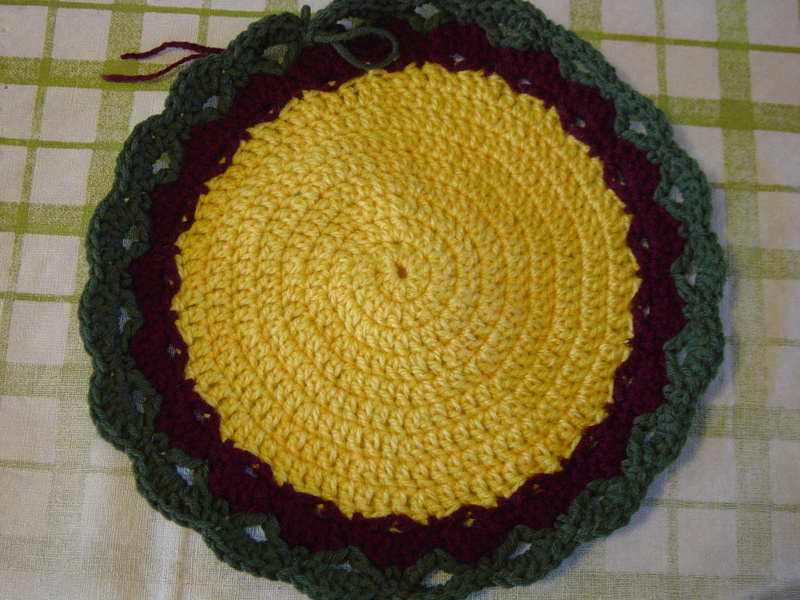 From Smart Knitting-Crocheting I found some example of stitches and chose a wavy fan pattern. The diagram was very easy to read and a good alternative than trying to read a pattern when I wasn't sure if DC =/= SC !! But my initial row didn't match so I unwound it and did it again. I thought the pattern would simply continue the beanie, as it was up to the point where the rounds were no longer increasing, but that didn't happen. It doesn't quite lie flat either, but this is definately not a beanie. Serve me right for trying to put in fancy stitches! One day I'll get around to following Rachel's beanie pattern to complete one, which now I know what I was doing wrong, I'm sure will work just fine. I'll keep this large flower thingy for another project I'm working on. 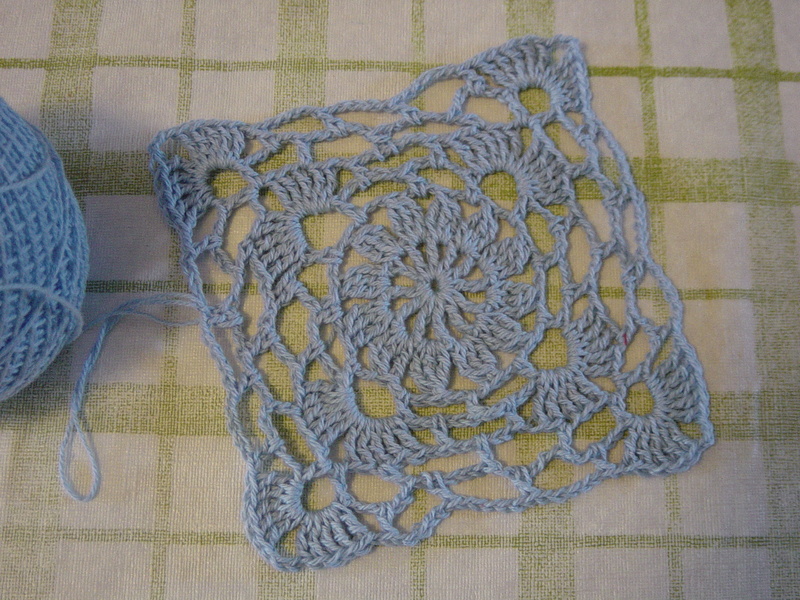 Another small project I had open to look at was a dancing shells washcloth pattern at All Free Crafts. It didn't look too hard so I gave it a go, but my cotton is too thin. A fair few American patterns call for "weight worsted cotton" and all I've been able to find out is the Australian equivilant is a 10ply which doesn't make sense to me. I think my mum will know, so I'll ask her next time I speak to her. A new stitch I learnt here was Dc2tog (double crochet two stitches together) and again, I learnt how to do it from a youtube video. I actually unwound this little exercise to reuse the cotton. My mum gave me several balls of this lovely cotton so I was determined to do something with it and tried one of the many patterns she gave me. This square motif was easy enough and if I made 38 of them, I could make them into a top. I wonder if I'll get around to doing that one day .... lol! If I went to that much trouble, I would want to be sure to wear the thing!